How does the optic nerve get damaged by open-angle glaucoma? Several large studies have shown that eye pressure is a major risk factor for optic nerve damage. In the front of the eye is a space called the anterior chamber. A clear fluid flows continuously in and out of the chamber and nourishes nearby tissues. 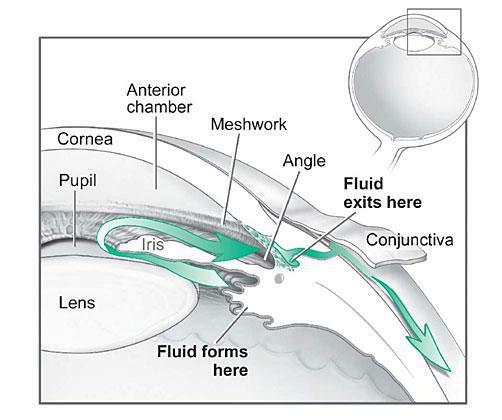 The fluid leaves the chamber at the open angle where the cornea and iris meet. (See diagram below.) When the fluid reaches the angle, it flows through a spongy meshwork, like a drain, and leaves the eye. In open-angle glaucoma, even though the drainage angle is "open", the fluid passes too slowly through the meshwork drain. Since the fluid builds up, the pressure inside the eye rises to a level that may damage the optic nerve. 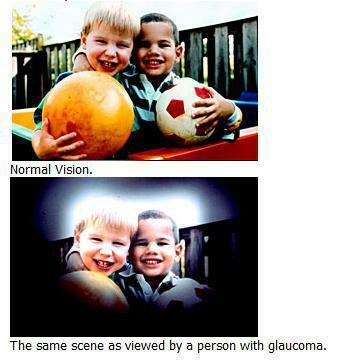 When the optic nerve is damaged from increased pressure, open-angle glaucoma-and vision loss-may result. That’s why controlling pressure inside the eye is important. Another risk factor for optic nerve damage relates to blood pressure. Thus, it is important to also make sure that your blood pressure is at a proper level for your body by working with your medical doctor.  Can I develop glaucoma if I have increased eye pressure? Not necessarily. Not every person with increased eye pressure will develop glaucoma. Some people can tolerate higher levels of eye pressure better than others. Also, a certain level of eye pressure may be high for one person but normal for another. 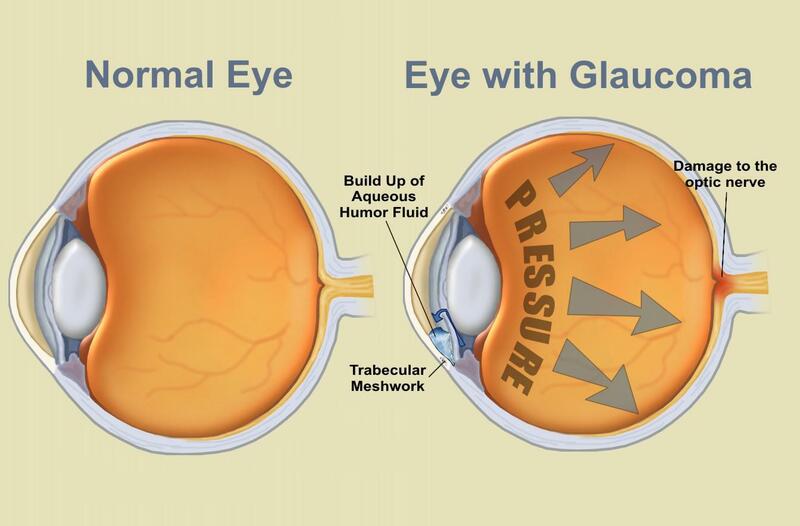 Whether you develop glaucoma depends on the level of pressure your optic nerve can tolerate without being damaged. This level is different for each person. That’s why a comprehensive dilated eye exam is very important. It can help your eye care professional determine what level of eye pressure is normal for you. Can I develop glaucoma without an increase in my eye pressure? Yes. Glaucoma can develop without increased eye pressure. This form of glaucoma is called low-tension or normal-tension glaucoma. It is a type of open-angle glaucoma. Who is at risk for open-angle glaucoma? of eyedrops reduce the risk of developing glaucoma by about half. At first, open-angle glaucoma has no symptoms. It causes no pain. Vision stays normal. Glaucoma can develop in one or both eyes. Without treatment, people with glaucoma will slowly lose their peripheral (side) vision. As glaucoma remains untreated, people may miss objects to the side and out of the corner of their eye. They seem to be looking through a tunnel. Over time, straight-ahead (central) vision may decrease until no vision remains.